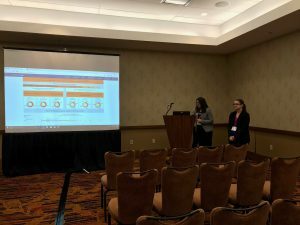 Recently the TCG team participated in a data visualization challenge at the Indy Big Data Conference, and this experience has led me to writing a blog on data literacy. What is data literacy? Merriam Webster defines being literate as “having knowledge or competence”, and being competent with data is a foundational skill we all need in this age of big data. Now, you don’t have to love math or know how to write code to be data literate. What you need to be comfortable doing is asking what, how, why, and so what of data. 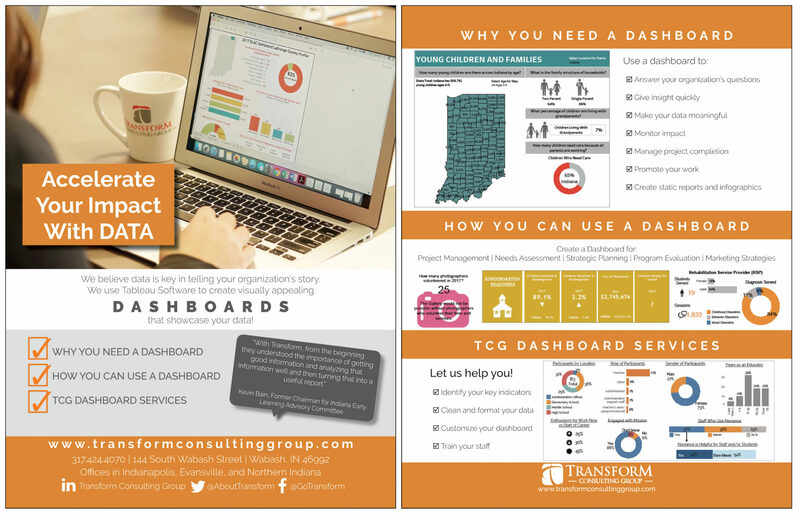 For TCG’s presentation (check it out here), we reviewed multiple datasets provided by the Indiana Management Performance Hub. We had to learn what each variable meant, how the values were determined or collected, and why those variables were important to those data sources. Figuring out the data meant learning about workforce development measures and industry codes. Analysis of the data involved selecting certain data to focus on and incorporating different views and additional data to answer the questions we had. Listing our recommendations answered the “so what” for the data we chose to analyze and present. Data literacy is very important to the data visualization world as well. 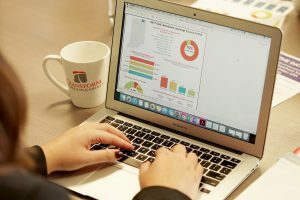 Before making the data “pretty” with charts or data visualization software (like Tableau which we featured in this blog), you have to know your data and know your metrics. 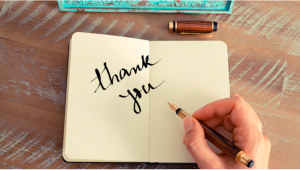 That way when you see your dashboard or charts showing 1,000 current donors with a 25% retention rate from last year, you will know if that is correct. Programs like Tableau (which imports your data to visualize) can’t tell you if you’re creating the right chart with the right variables. It takes the same level of critical thinking that is applied to the data itself. Not spot checking data to make sure things are correct (such as population totals). Too much data. More is not always better, and lots of data can be overwhelming and may take away from the goal of the analysis. Selecting the wrong variables. A chart can be created to compare apples to oranges, but it may not be of any value. Not using percentages when comparing groups with different totals. This is one I see quite often and is a reminder to always question data. In the example below, Marion County (center of map) looks like it has the most young children and the most young children in poverty because Marion County has the largest population. If you look at percent of young children in poverty, other counties show just as high of a percentage as Marion County. Lacking context. Without knowing the source of the data or data totals, the statistics may be less convincing. Industry knowledge is also important to context in order to visualize the most valuable data and to answer “So what?”. Not sure how comfortable you are with data? Start with your own! Ask questions and see what you can uncover. Check out some of our favorite sources of data that can add to your analysis. 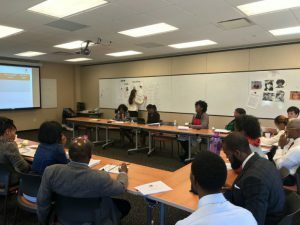 As you dig in, Transform Consulting Group is ready to assist with our evaluation, research, and strategic planning services as well as data visualization training and products. Contact us today to ask questions and learn more! As a new employee (week 8 on the job), I’m learning more and more about Transform Consulting Group. I have found that we don’t stop working where other consultants might. At other consulting groups, the typical client engagement cycle is this: Research is finished. Meeting is over. Report is delivered. On to the next client. Consultant: I wonder what they did with our recommendations. TCG goes further – we help you implement change. At Transform Consulting Group we go further in helping our clients implement change. One way we do this is through training our client’s staff. Just like no funder wants to adopt a grantee forever, no client wants to hire a consultant forever. We want to make sure that the work we have completed for the client will be sustained beyond our engagement with the client. We work with several clients to support their evaluation needs. This might include evaluating a program for a grant, developing an evaluation plan and process, or developing a data dashboard. 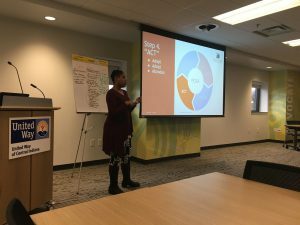 Evaluation can be intimidating for many of our client’s staff, so we make sure we develop data tools and plans that they can manage and implement beyond our engagement. In order to accomplish this, we might embed a series of trainings for staff throughout our evaluation project. 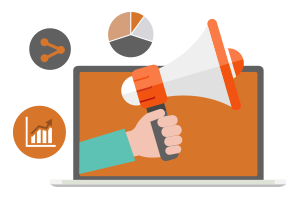 Our trainings include detailed slides, a recording of our training, and handouts. These are all useful tools that can be shared with new staff at an organization. Not only does the organization benefit, but according to research, employees want professional development! It makes them feel that the company is investing in them and their development, which can increase employee retention. A win-win! At Transform Consulting Group, we understand the importance of evaluation and the critical step of implementation. If your organization needs help developing its staff or would like to engage with a consultant that can help you through the entire evaluation process, contact us today to learn more!